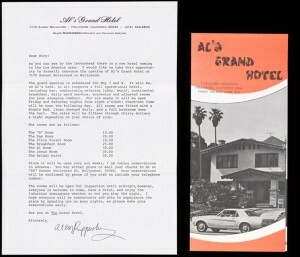 Beginning in the 1960s select Los Angeles artists began to mimic the look and feel of commercial marketing strategies by treating viewers as consumers. 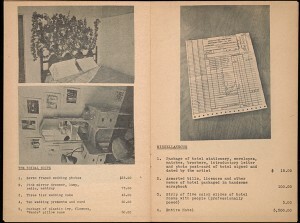 In this vein, Allen Ruppersberg produced a series of books that demonstrate an interest in the products of popular culture. 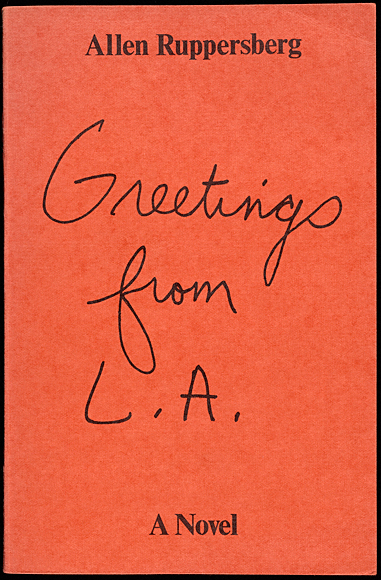 One of these was Greetings from L.A., the subtitle for which declares it to be a novel. A flip of its pages reveals only occasional bits of narrative, with the most of the pages left blank. 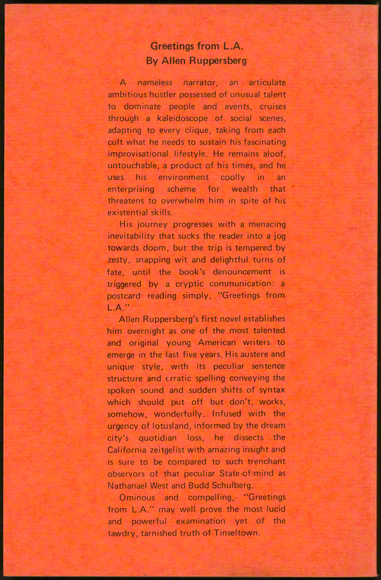 The back cover, meanwhile, features a parody of the exaggerated and breathy prose used to sell airport fiction and cheap thrillers. The piece is striking for this contrast between its content, a high-culture exploration of text and spacing that nods to the French poet Stéphane Mallarmé, and its seeming appearance as low-culture pulp fiction.